Planning for a trip to South India this winter? 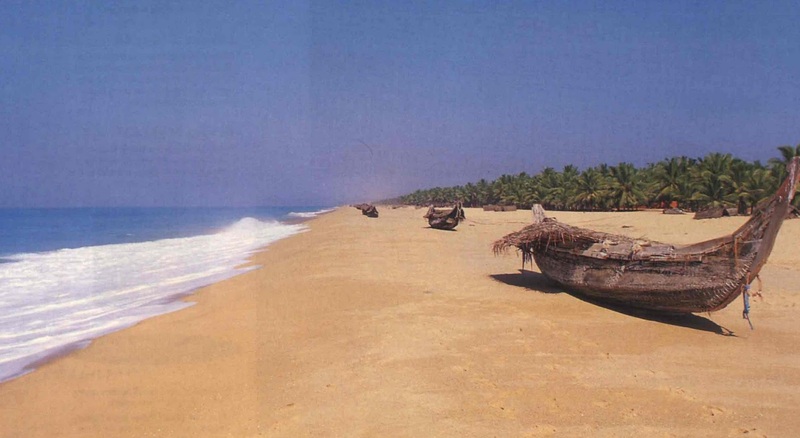 Or looking for some best South Indian beaches? If that is the case, then Tirthankar Bose suggests 5 most beautiful beaches in South India you must visit this winter. The Poor Nomad describes the winter beaches in his own words below. South India is surrounded by water on three sides, is enthroned with some of the best beaches in India. There are thousands of beaches and mountains which you may explore, however, a crowded beach is not for us. That is why I am writing this article to let you know about some of the most beautiful beaches in South India. It is an absolute new addition to the list of must-visit beaches. Most travelers, even from India have little or no idea about this place. This beach still remains untouched from travelers. You might find some locals and a couple of visitors taking sunbath but something that you won’t find is an otherwise huge crowd that usually is a common scene around beaches elsewhere in India. 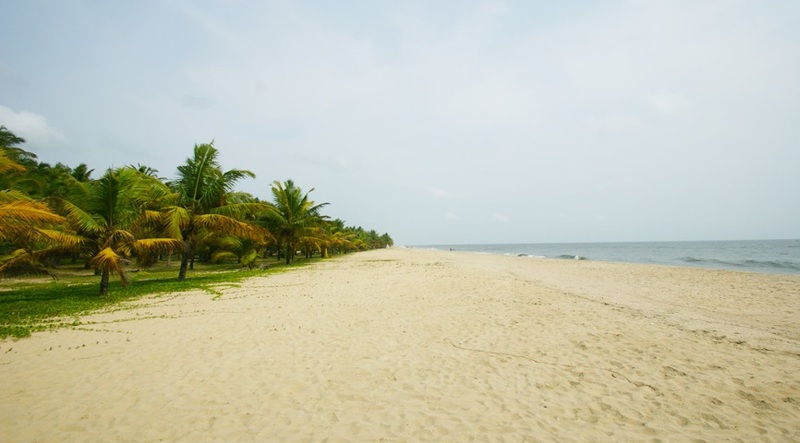 So, if you are looking for a place to unwind and relax, Marari beach is for you. By the way, you can also plunge yourself in activities like private beach parties and surfboarding. Surrounded by backwaters of Kerala on one side and the Arabian Sea on the other, Poovar beach is a tropical paradise for beach lovers. Due to the majestic white sand beach along with blue and beautiful ocean, this beach is one of my favorite beaches of South India. This beach has everything you might look for. Swaying coconut and palm trees, blue waters of the ocean, white sand, untouched lands, emerald backwaters and the beautiful sunset. 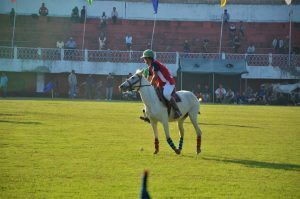 This place creates a magnificent view and ambiance which is difficult to get in any other place in India. How To Reach: There are government buses and even autos plying from Thiruvananthapuram to this beach. You may choose one. 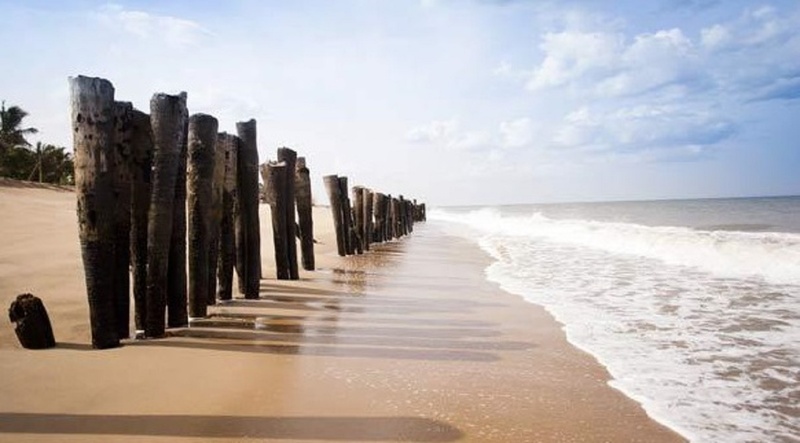 Dhanushkodi or Danushkodi is a small beach in a ghostly little town of Dhanushkodi at the south-eastern tip of Pamban Island in the state of Tamil Nadu. Why ghostly? Because, in 1964, this village was hit by one of the worst cyclones one has ever seen, resulting in the death of almost an entire population of 1800 people. That day on, this town has remained as one of the uninhabited places in this region. Hence, the beach also remains secluded and untouched. By the way, as they say, every coin has two sides. Apart from being termed as a ghostly town, this place is also known as the starting point of “Ram Setu” or the Adam’s Bridge. This is the same bridge built by Lord Hanuman and his army by laying down bricks with the name of Lord Rama engraved on them. The beach here is beautiful with an awesome view of the confluence of two water bodies. With an unending sea, this beach is a good place to relax and unwind. How To Reach: From Rameshwaram, you may get buses or can book a cab. There is a small railway station too. So you may use it when returning back. Moving from Kerala and Tamil Nadu to yet another South Indian beauty, Karnataka. With more than 300 km of coastal line, Karnataka has a plethora of options to choose from. Karnataka as a state has it all from mountains to valleys to jungles. But I would only be sharing with you one of its not-so-well-known yet one of the best beaches, Karwar Beach. Karwar Beach, located in the northern part of Karnataka, very close to Karnataka – Goa border, is one of the most popular and beautiful beaches in this region. 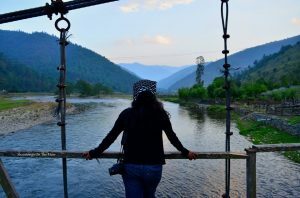 It came to prominence when the Bengali poet and Nobel laureate, Rabindranath Tagore dedicated an entire chapter of his memoirs to this town besotted by its beauty. How To Reach: The best way to reach Karwar is from Goa. There are regular buses which travel on this route. Goa being a small state and Karwar located on the border, it is easy to reach there in a short span of time. 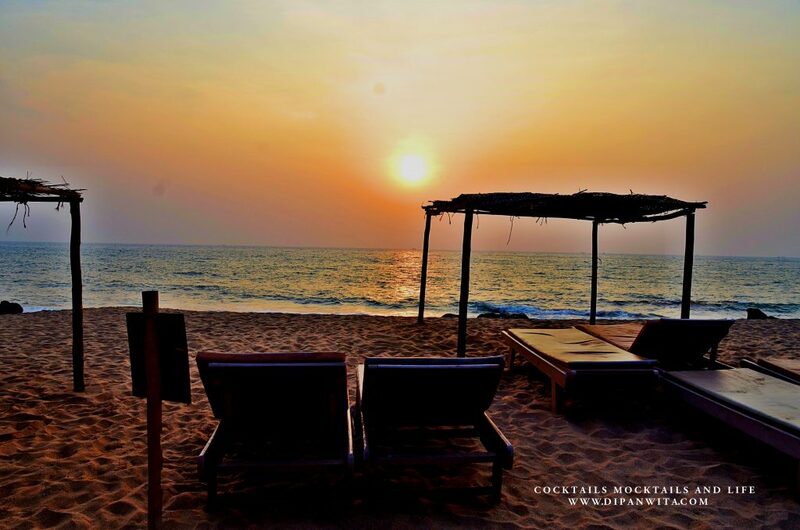 In our list of most beautiful beaches of South India, last but not the least is Promenade beach from Pondicherry. If you are looking to explore a French colony, then the Union Territory of Pondicherry is the place you should head to. Known for its French cuisine, French villas, beautiful lanes and everything French, still, this should not be the only reason you visit this place. Pondicherry is also famous for its beaches and Shri Aurobindo Ashram. By the way, Pondicherry has 3 to 4 beaches for travelers to explore. While some are crowded with tourists, there are others located off the beaten track. One of them is Promenade beach, the most scenic and away from the crowd. So if you are in Pondicherry and looking to relax with a pint of beer then Promenade can be the place for you. You may also explore the War Memorial, Lighthouse and Old Customs House and other places nearby. How To Reach: There are lots of buses that ply frequently to Pondicherry from Bangalore, Madurai, Chennai, Coimbatore, and Trichy. You may also fly down as there are flights that connect to and from the major cities in India. Hope my list was helpful in finalizing your next trip for upcoming winter beach holiday. If you liked it, do share it on facebook or tweet about it. Tirthankar Bose is a solo backpacker from India, who has been traveling for last 10 years and has covered almost all parts of India. 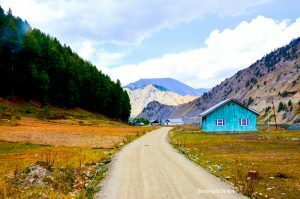 Follow him through his blog ThePoorNomad, where he shares various destination travel guides, travel information’s, travel hacks, Tips & Tricks on various places and topics. I LOVED reading this dear. You are splendid in curating the best ones. Hey Tara we should thank Tirthankar Bose for this curated list. 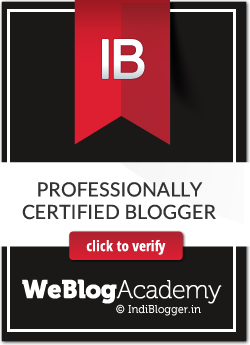 He is the guest contributor and has done a great job in letting us know about such hidden treasures. What a pity, I have not seen a single on from this list! Lovely places they look like too! Each of these places is a treat for beach lovers. It would be so much fun to spend winter holidays here with family and friends. Will recommend these places to my folks back home. 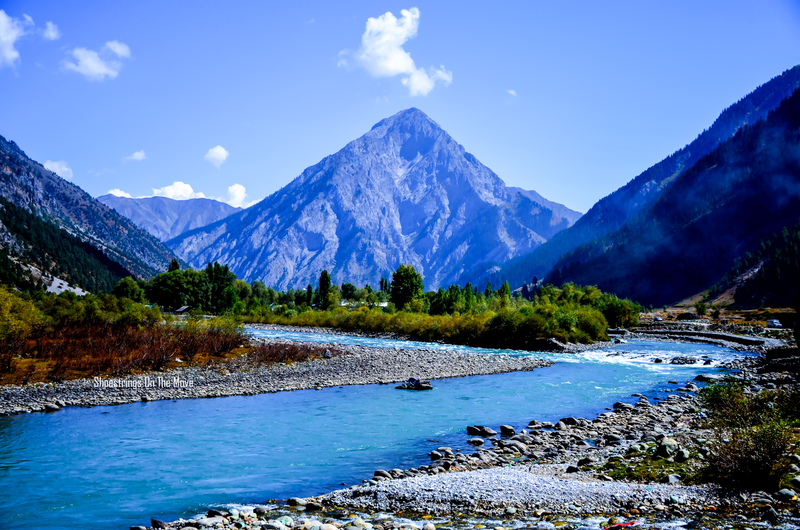 Its a pity I haven’t visited any of these….Tirthankar is an amazing photographer I see through your blog. Thank you will hope to see more of his work! Indeed these are the best beaches in South India. Great list, Dipanwita!